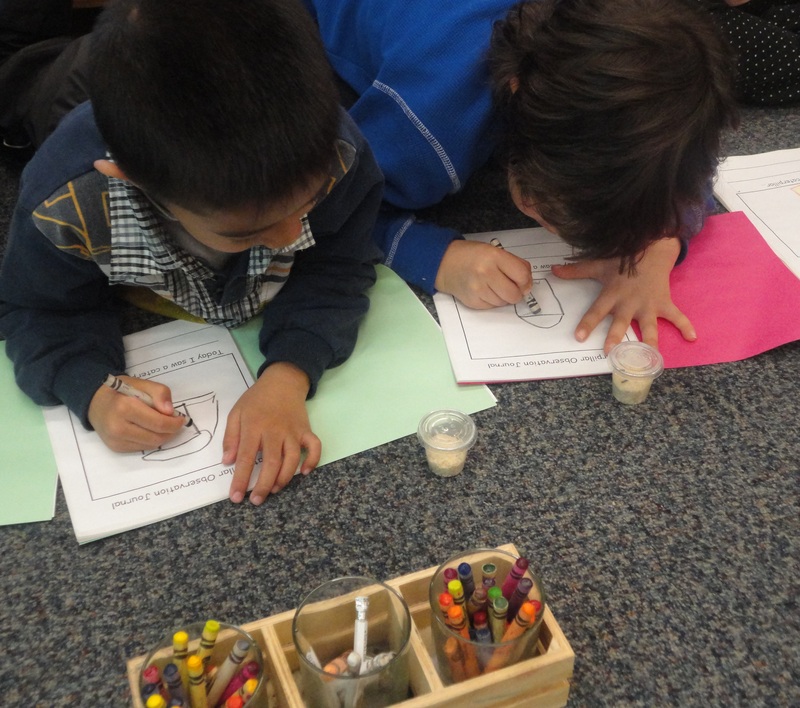 Have you ever had live creatures in your classroom? There is something quite magical about having a living, breathing part of nature in the classroom to inspire some deep thinking. 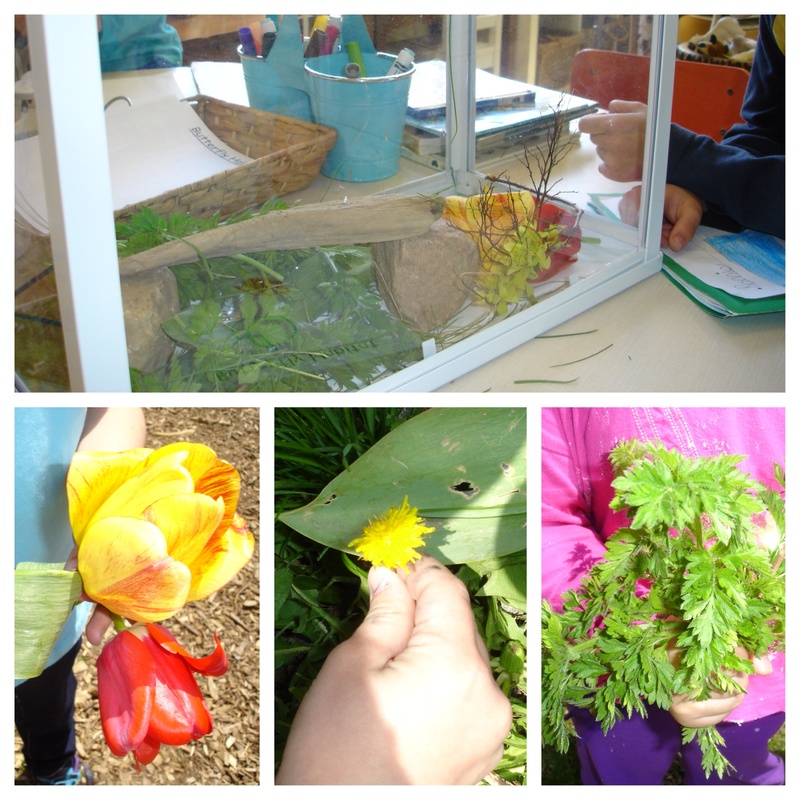 Beyond the obvious scientific connections, having live creatures in the classroom also provides opportunities for social development around respect, responsibility, care-giving, and self-regulation. Over the years I’ve had many insects, amphibians, and animals come through my door but butterflies are definitely my favourite. The whole process of watching and waiting for metamorphosis to occur provides endless opportunities for observations, predictions, hypotheses, and of course, lots of excitement! This inquiry project turned out to be quite all-encompassing and there is a lot I want to share here. This post will be mainly photo based, with some captions for the photos to describe what we were doing. If you have any questions, please don’t hesitate to ask! 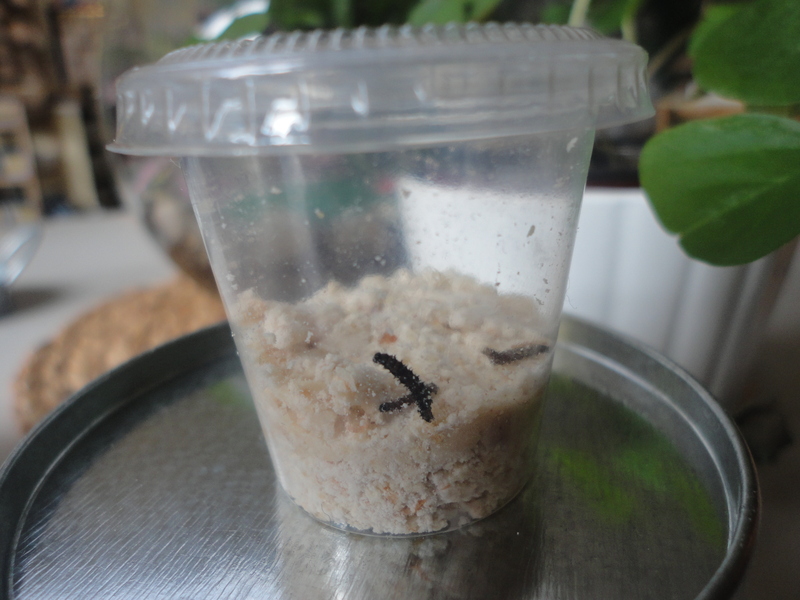 Our caterpillars on the day of their arrival. 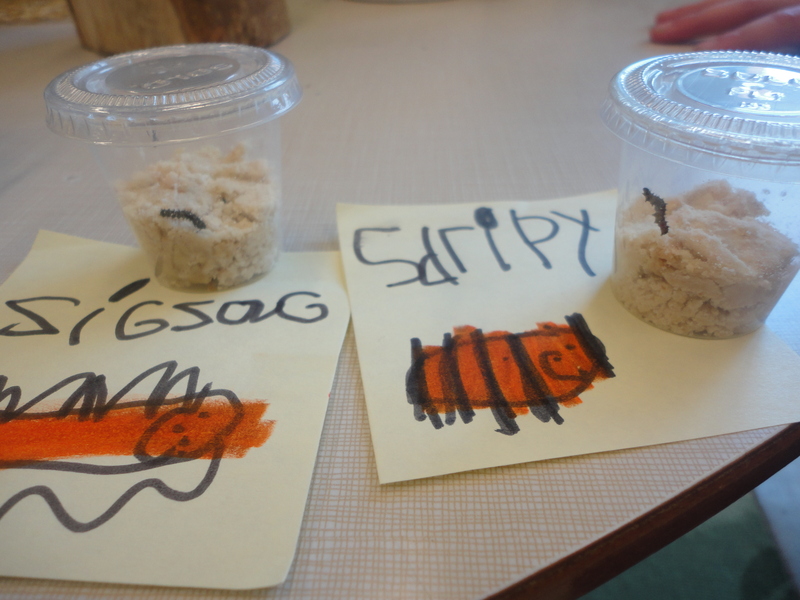 We ordered our live caterpillars (Painted Lady Butterflies) from Boreal Science. Our literacy connection for the start of this inquiry was The Very Hungry Caterpillar by Eric Carle. Here, F.S. 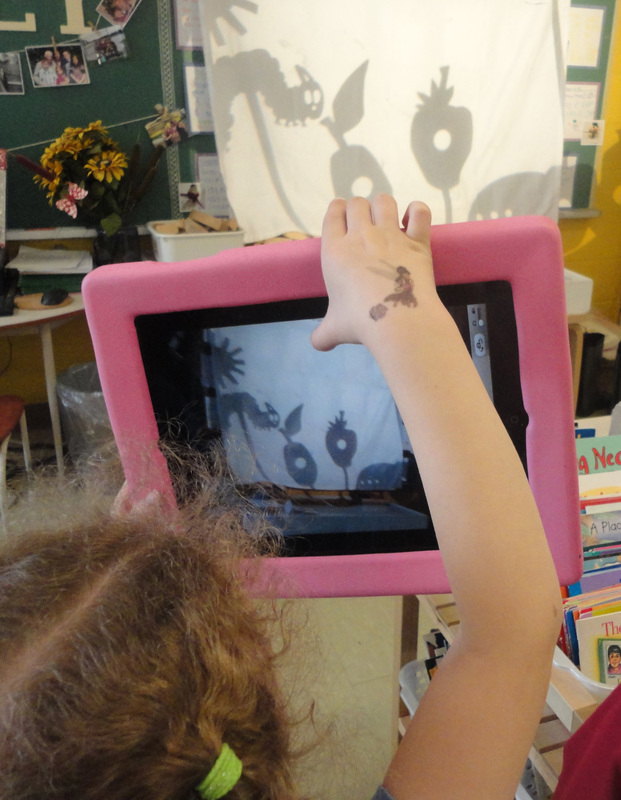 records a shadow-puppet retelling of the story on the iPad. 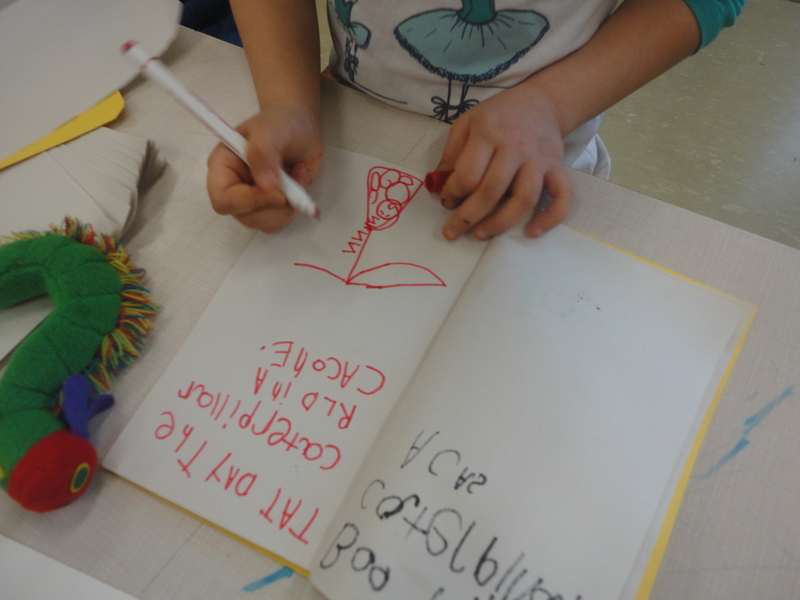 The children take time to record their observations of the caterpillars in their science notebooks. A closer look at the science notebook. 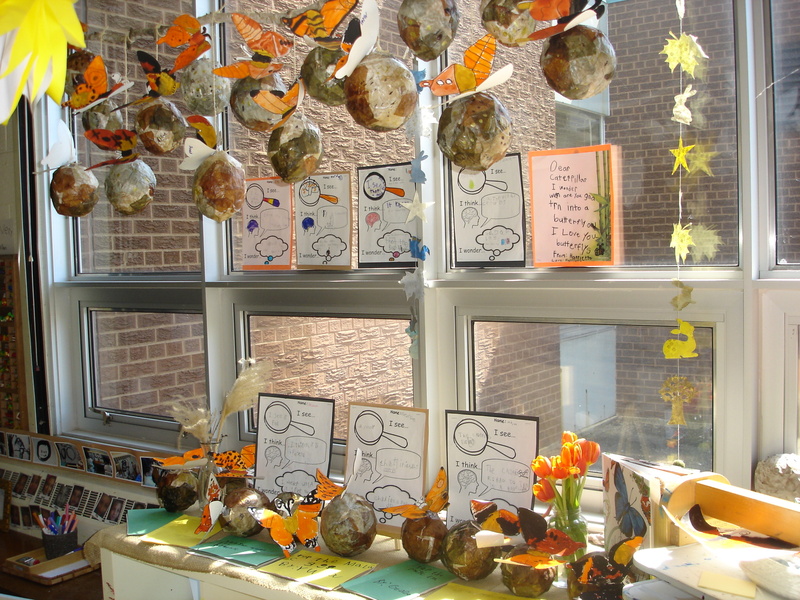 We represented each phase of the butterfly life cycle through an art piece. 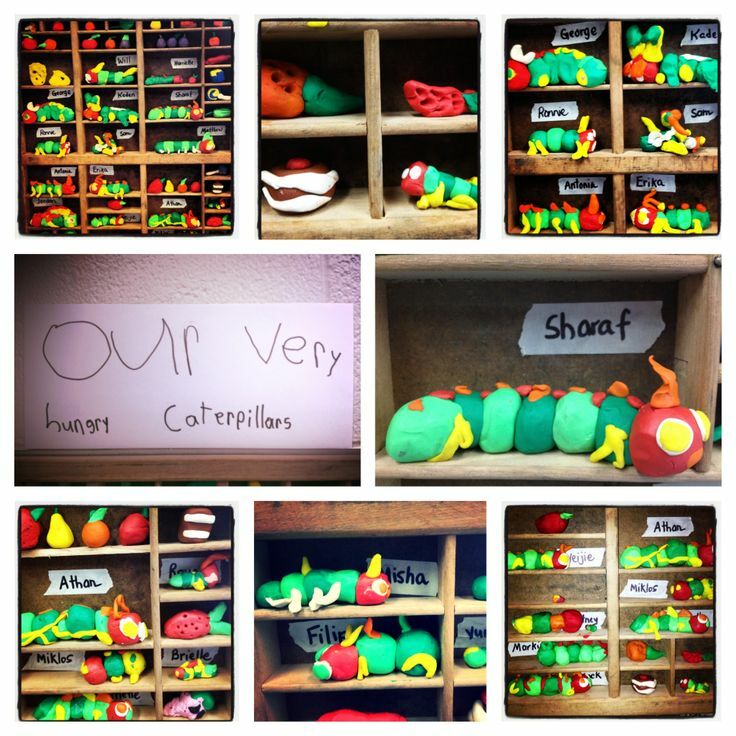 Here is our collaborative art piece for the caterpillar, based on Eric Carle’s famous story. 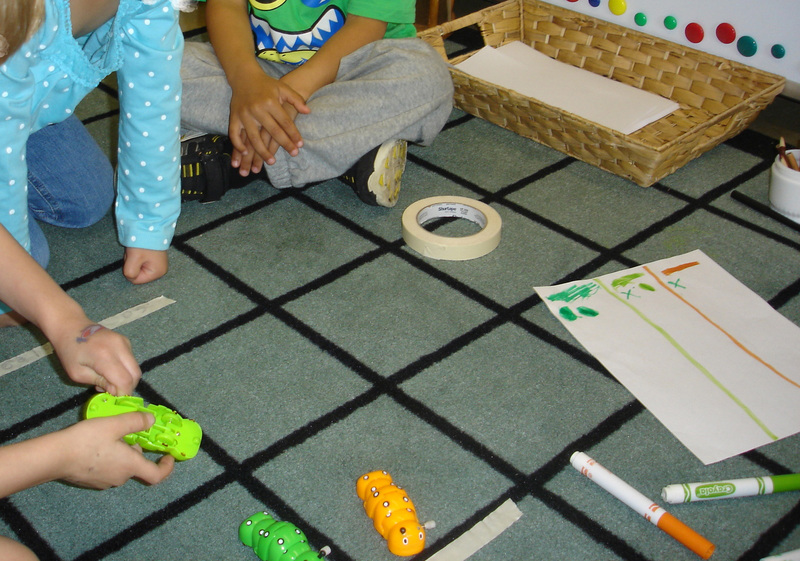 Racing caterpillars at the math centre. The children negotiated the length of the course and recorded the results of their races. 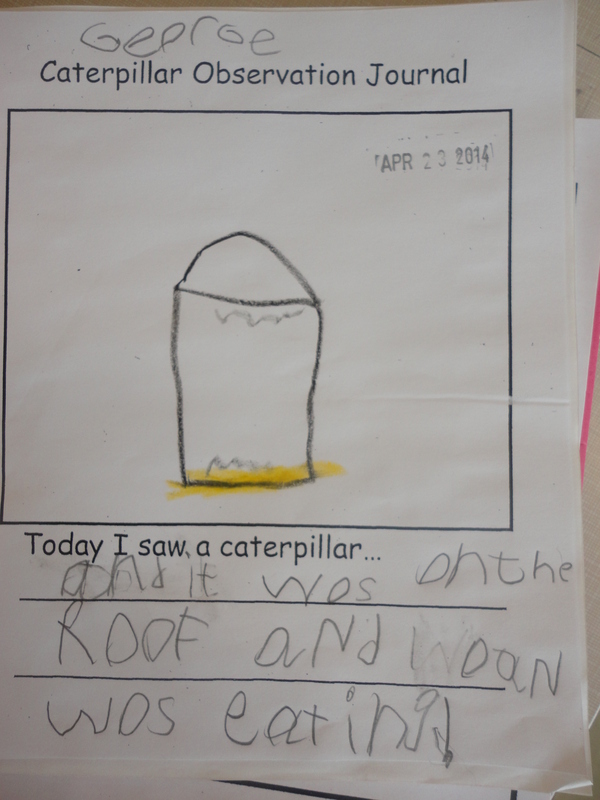 Our caterpillars inspired so much writing at the writing table! 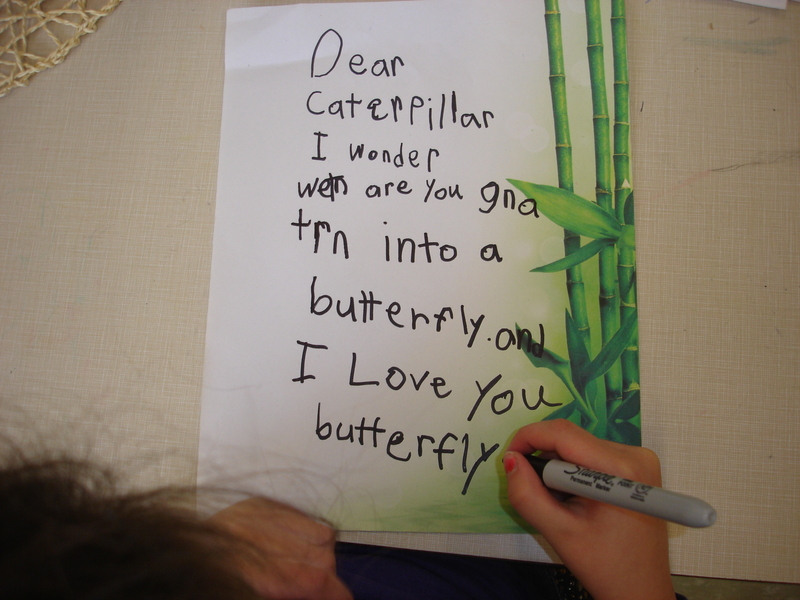 Writing letters to our butterflies while we wait for them to emerge from their chrysalises. 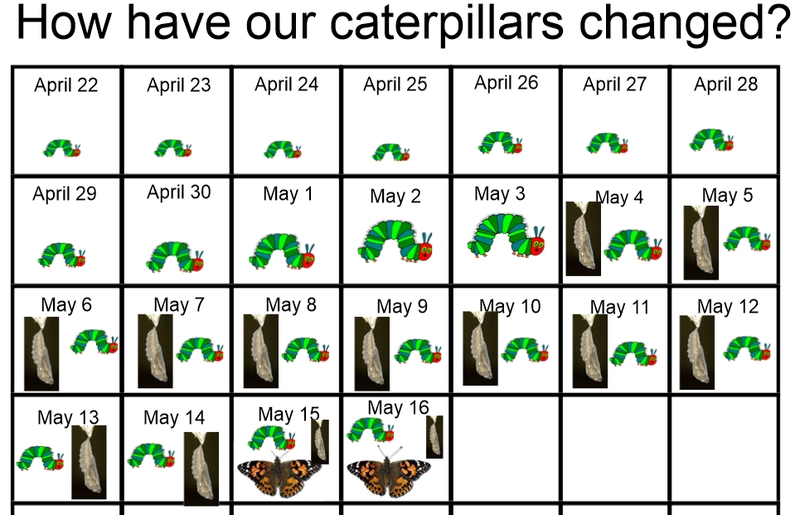 We found this idea on Pinterest – recording the growth and change of our butterflies. We kept this record on the SMARTBoard. 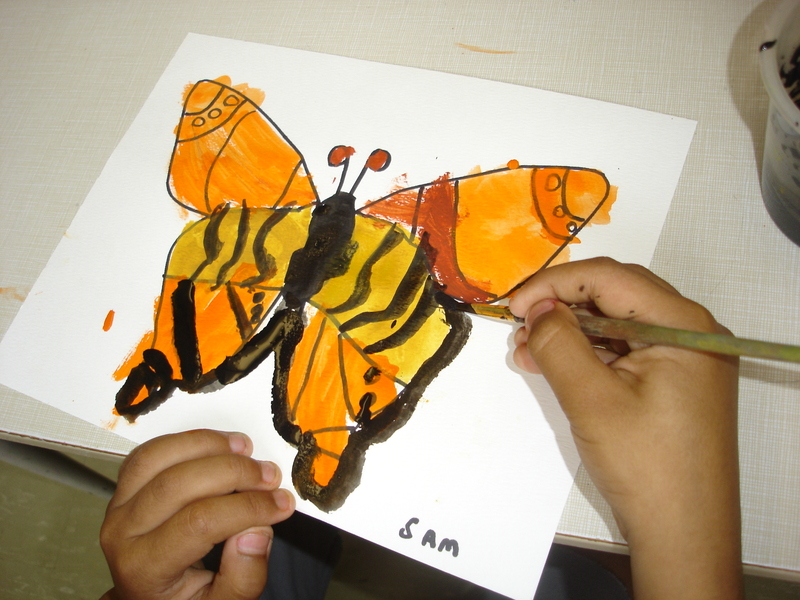 Art and Fine Motor Instruction: learning how to draw a butterfly. Much of this lesson was dedicated to symmetry. 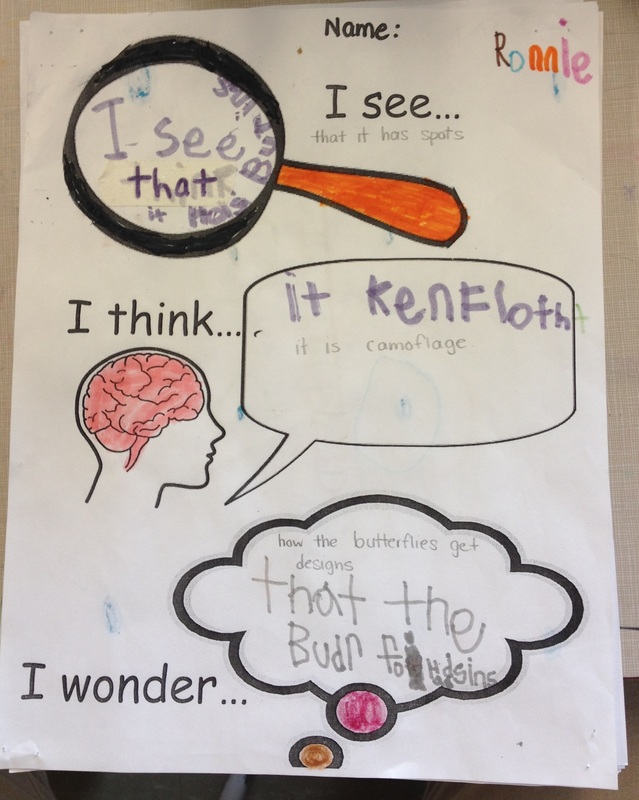 One of our main questions was “how can we care for our caterpillars/butterflies?” This led us to think about how to create a habitat for the butterflies where they could thrive while we had them indoors. The children recorded their ideas on butterfly habitat planning sheets and gathered their materials in our outdoor classroom. 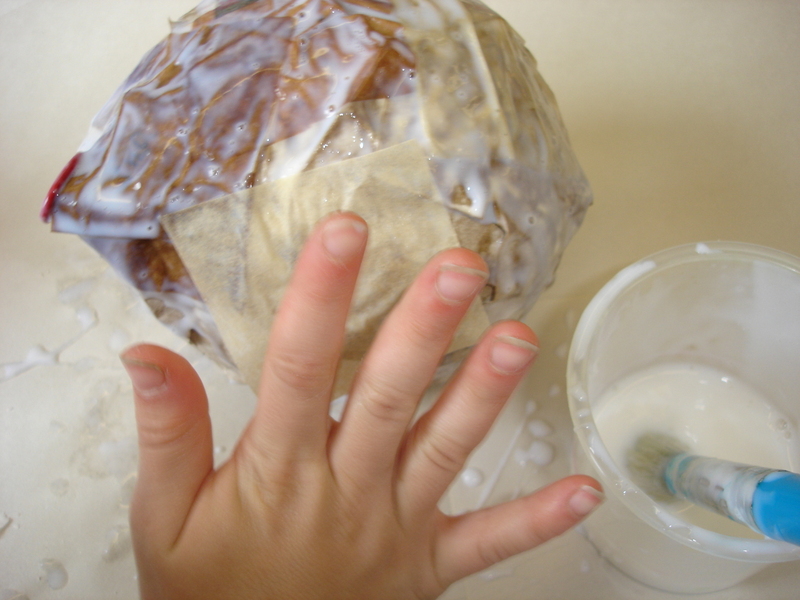 Our representation of the chrysalis stage: creating a chrysalis out of papier mache. 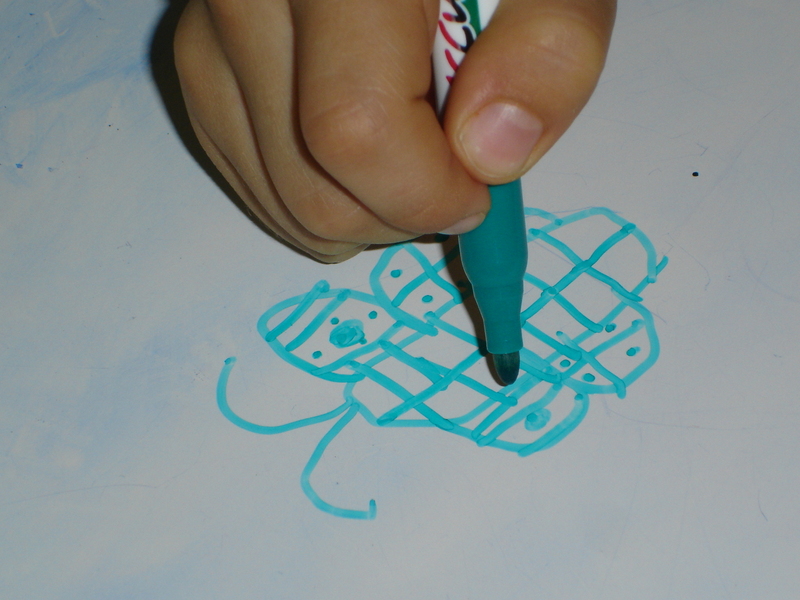 The children added finer details with permanent markers when their work was dry. 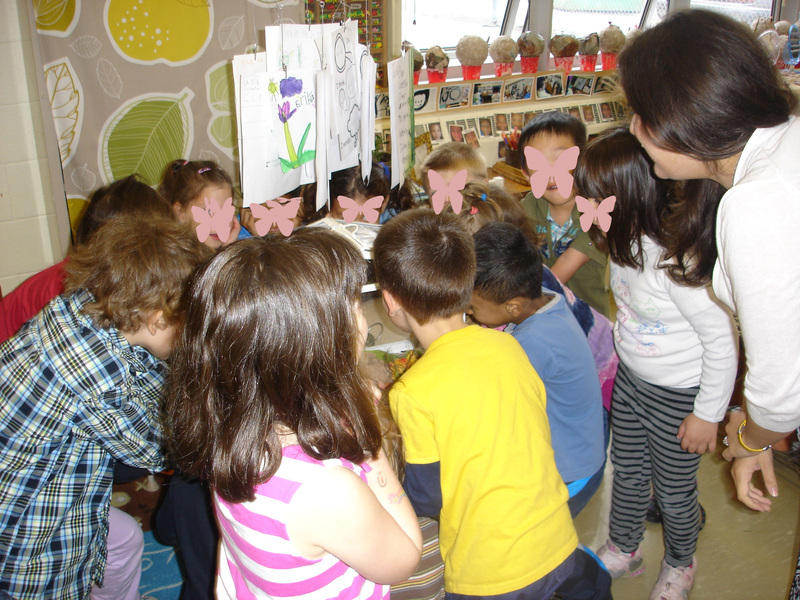 You can see how excited the children are to catch a glimpse of our first butterfly! Representing our butterflies with beautiful watercolour paintings. The children worked very hard to create symmetrical designs on the butterfly wings. Documentation of our learning. 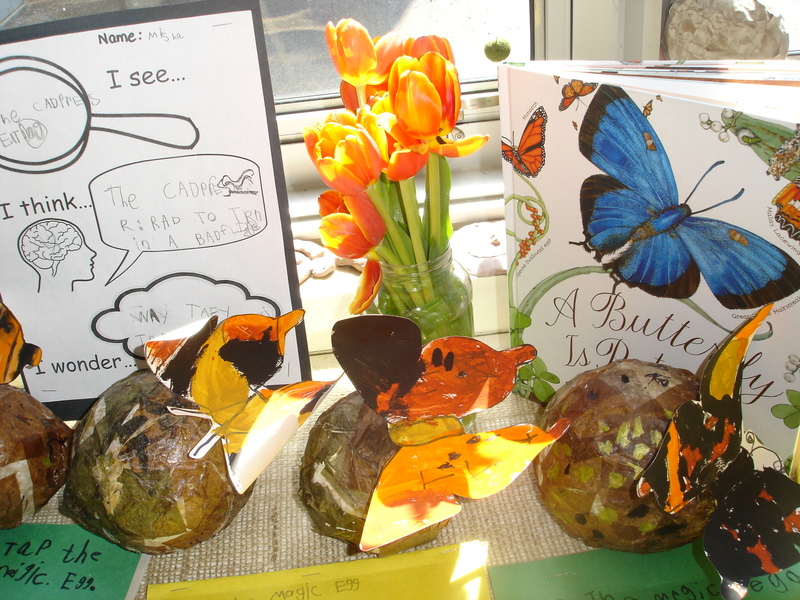 We layered the children’s work in a display that captured not only the growth and change of the caterpillars but the growth and change of our own learning and understanding. 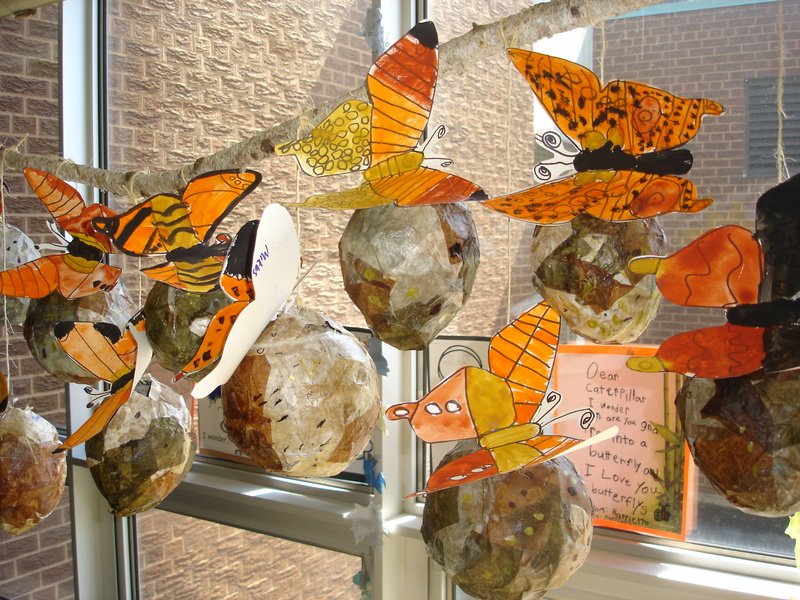 Our butterflies were clipped to our chrysalises and hung from a branch suspended from the ceiling. 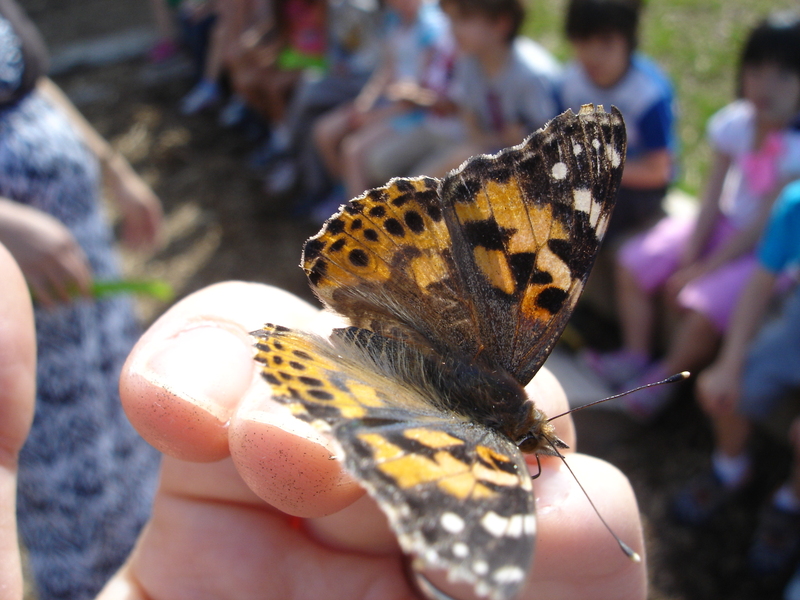 We celebrated the end of our learning journey with a butterfly release party in our outdoor classroom where the children sang songs and talked about their wishes for our butterflies as they flew into nature.